Have you ever had to decorate around something in your home that doesn’t necessarily fit your style anymore? 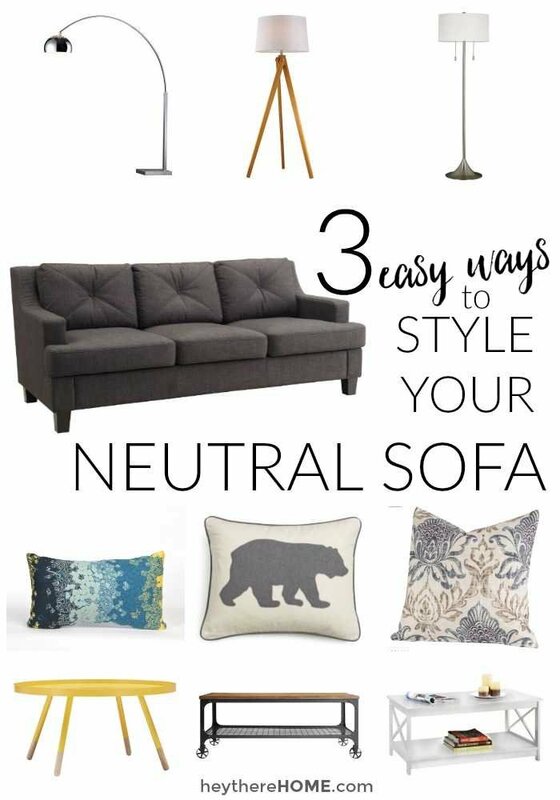 Or maybe you played it really safe with some of your big ticket items, like maybe your sofa, but you still crave adding some style to your space? One of the smartest things you can do when buying big ticket items for your home is to play it somewhat safe so that you don’t end up needing – or wanting to replace it. On the other hand, some of us are just plain stuck with a big ticket item that we just aren’t feelin’ anymore, but the good ol’ budget isn’t allowing it to be replaced. This post contains affiliate links for your convenience. Click here to read my full disclosure. But even if you’re feeling stuck, there is a way to allow your style to evolve and work with what you got. It’s all about what you put with it and today I’m excited to be partnering with Overstock.com to show you just how changing things up can give your space a whole new feel. And since Overstock.com is having their anniversary sale right now through Oct. 17th it’s a great time to add some style to your space! Let’s take a pretty standard sofa for example. I know I’m not alone when I say that I purchased a sofa in a darkish neutral color because I need it to last. And by last, I mean hide little kid messes reasonably well. Sound familiar? 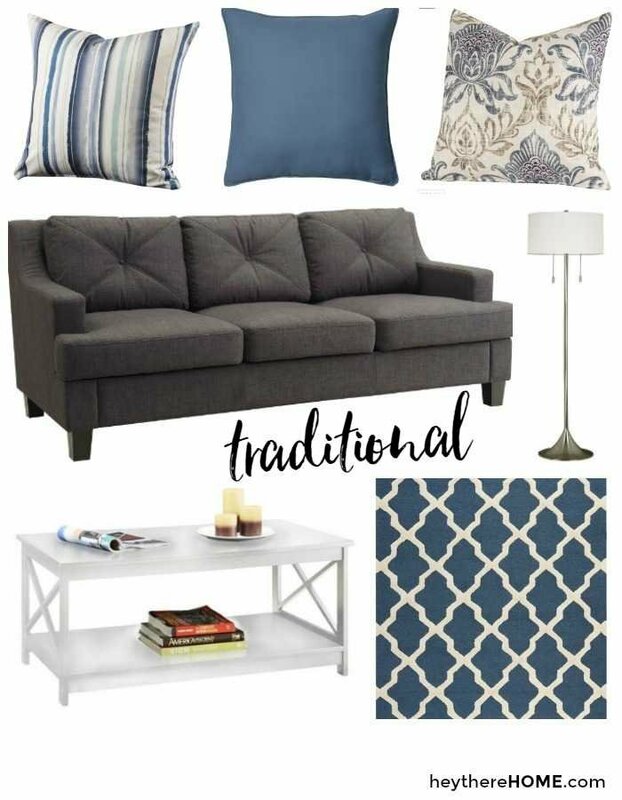 Today I’m going to show you how you can take this one sofa in so many different style directions. 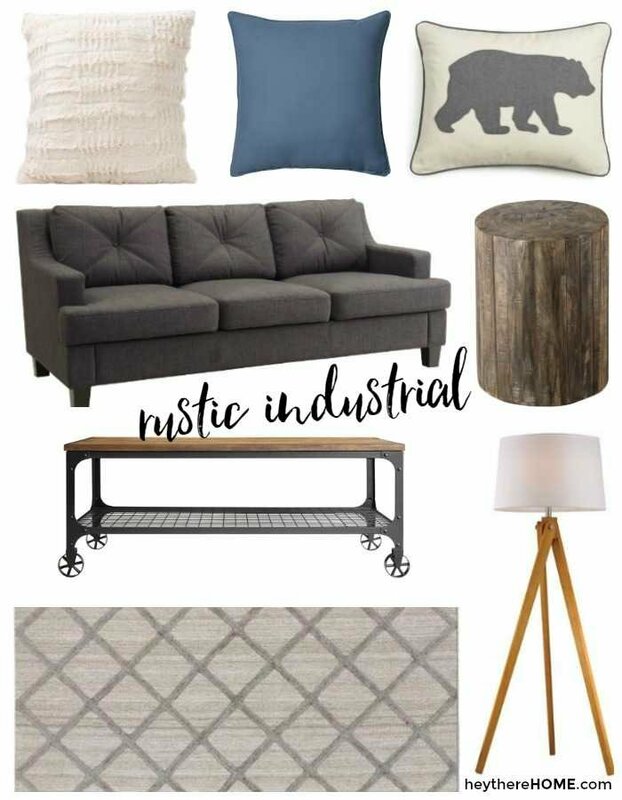 Whether you are into traditional, rustic, or modern decor having a “safe” sofa is still the way to go, because it will act as the base for everything you put with it, no matter what style direction you take. Chances are, if you’re into modern decor (like me) you still want your space to feel comfortable. In the past, modern decor got a bad wrap for being “cold.” I get it, no one wants to cozy up in a cement room, but if we focus on bringing in elements of modern design, we can accomplish the best of both worlds… welcoming and modern. Traditional decor is naturally very welcoming with a hint of sophistication. Rustic details are definitely a trend that isn’t going away any time soon. But being into rustic decor doesn’t mean you crave the total cabin feel. In fact it is quite the opposite. Adding just a few nods to nature in any space can give it the perfect outdoorsey vibe and make for a really cozy feeling space. texture (and lots of it) – wood, fur, stone, metal, brick, to name a few. use of raw materials like wire, beams, pipes, exposed bulbs. So which style direction are you headed in? And what is one thing you could add to your space today to get started? A big THANK YOU to Overstock.com for sponsoring this post. As a long time customer it is an honor. 1. 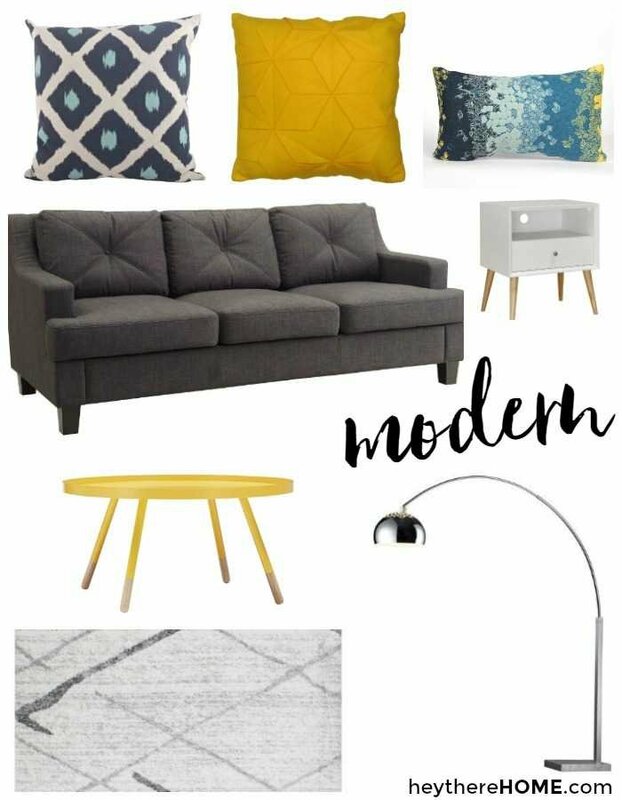 The style of my new house (not moved in yet) is contemporary classic but I get attracted to the clean lines of modern decor -is it okay for me to style a couple of rooms (loft area, family room) as per modern decor and just do the formal living and dining as classic? Or would this be too weird and the same theme should run through the house? Or maybe in between classic and modern (I don’t know the name for this) throughout the house? 2. We picked up a couple of Khaki Lazyboy sofas (lazy Pembroke khaki sofa, if you google for it and the image shows up)(we plan to have a symmetrical family room with our 2 recliners on the opposite side of the fireplace as we really love our Lazyboy recliners (Brown Sugar C932376-Lazyboy-image on google again-ugly and brown as they are) -my husband feels that they just dont go with recliners while I feel that its the color of the pillows and the rugs that will tie them together. What are your views about this? Thanks a bunch for any tips. Welcome to the Hey There Home family, Jaya! You’re in luck because I’ve created my online video course Style Your Way Home specifically for people like you who are needing more detailed, personalized home decor tips. You also get monthly group calls with me and answers to your specific questions. Click here for details on how to join! So glad you liked it Kathryn. You are very welcome. This is my quest: finding a smaller, neutral colored sofa, preferably light, for my living room to go with the navy blue, and red colors–difficult combo, in traditional style/rustic. I am thinking about moving off center to transitional to incorporate a slight shift to modern. Hey Connie. I definitely think going in a little bit more modern style with your sofa is a really good idea. Transitional will still go with everything you have going on and last as you hone your style even more.